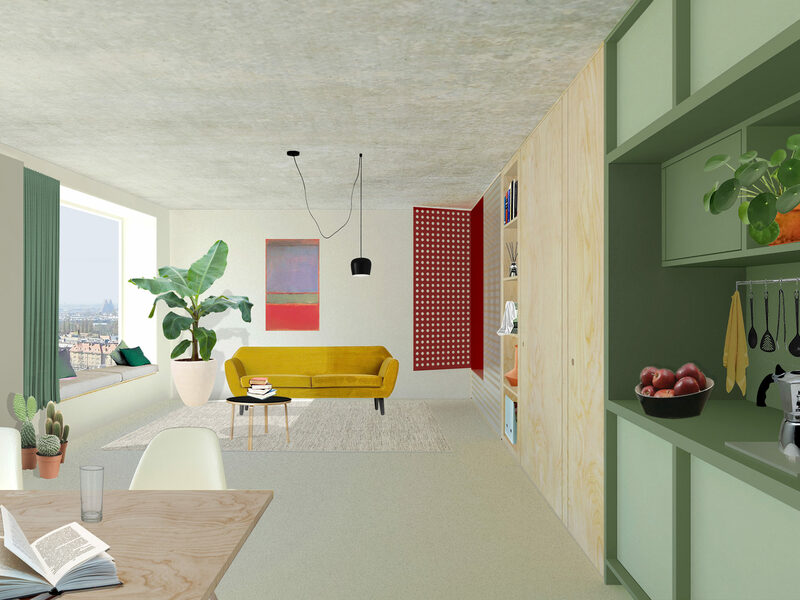 The increasing popularity of inner-city living and the changing mentality regarding sustainability, ownership and lifestyle open the door for a new inner-city residential typology: the micro-apartment. Micro-apartment complexes offer opportunities for sustainable urban densification at various levels. 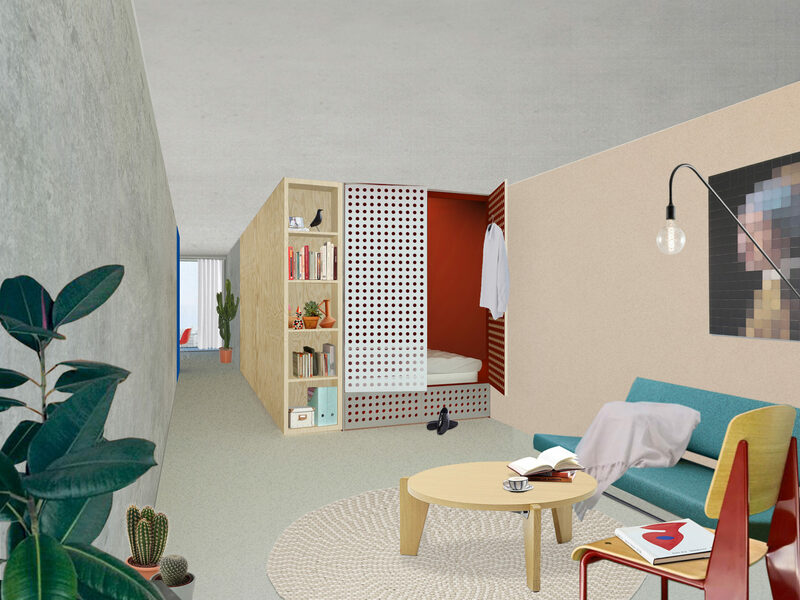 The growing group of one- and two-person households, the primary focus of micro-apartments, values ownership less and is more willing to share. They use the city as a second living room and exchange the car for a car sharing subscription. By sharing other facilities and installations (e.g. collective energy generation or a communal laundry, etc) across multiple users, efficiency advantages arise. Proximity to urban facilities is high on the list of housing requirements, reducing traffic movements and car mobility. 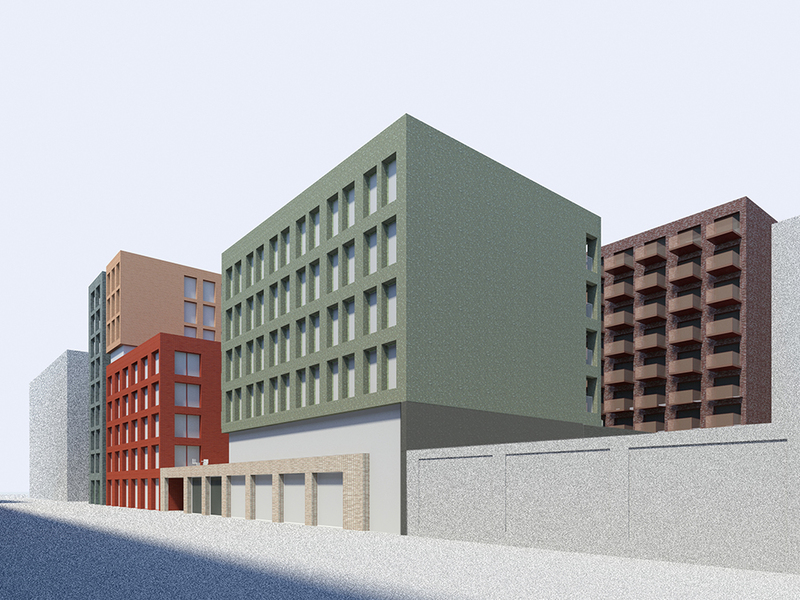 More importantly, micro-apartment complexes allow various groups of people to continue to live in the inner-city, maintaining the city a dynamic and attractive place for now and in the future. XS Deluxe Houthaven features 235 apartments in a family of buildings grouped around a collective green courtyard. 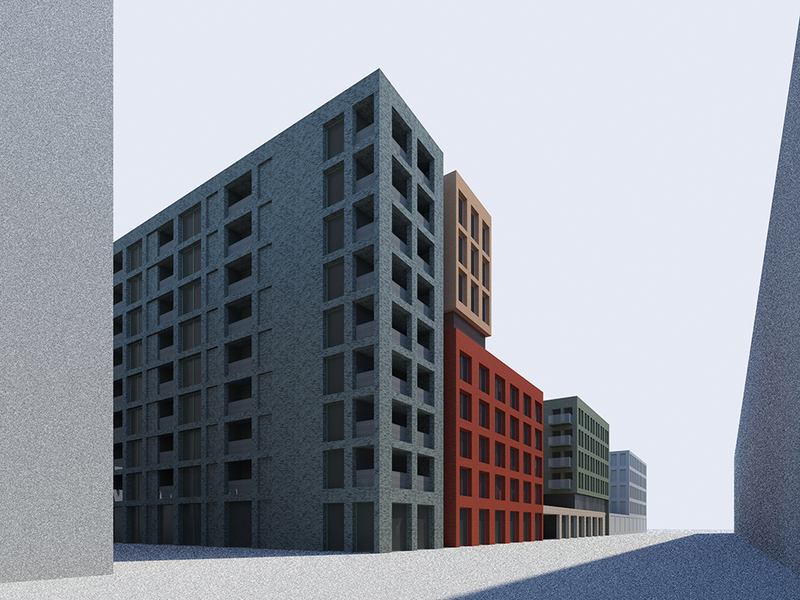 Each building volume has a specific grain size, materialization and apartment typology. 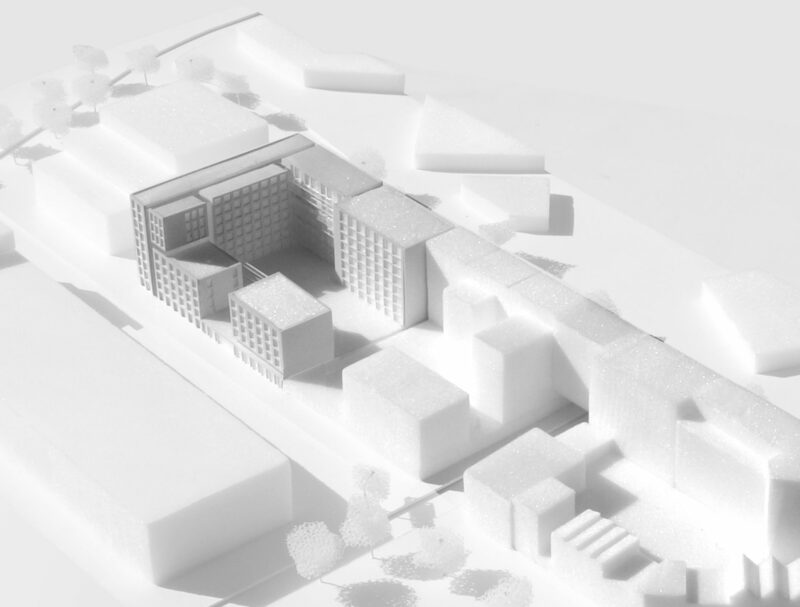 Their individual appearance fosters identification of the residents with their home within the vast complex and brings the project back to a scale that matches the characteristic grain size of Houthaven. 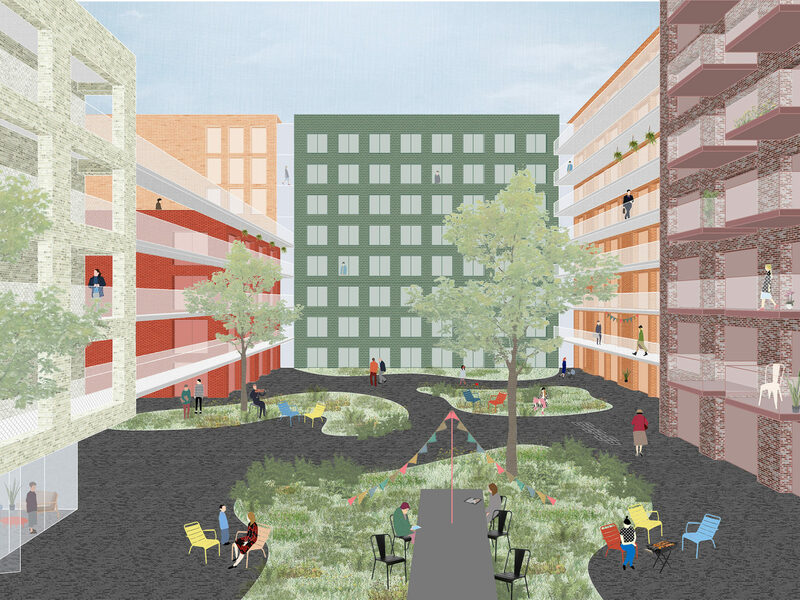 The green courtyard and the roof terrace on the fifth floor form the collective heart of the complex. Around it are positioned the collective living room, guest house, cooking studio, library and sauna, which can be used by all residents. 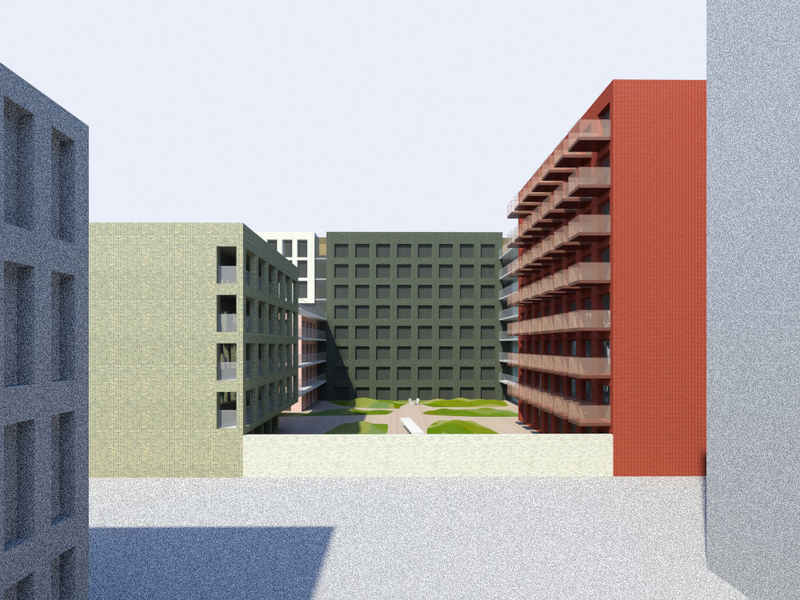 The building plinth offers room for public facilities for the neighborhood and for work units that can be connected to the apartments on the first floor. The parking garage offers space for a shared-vehicle concept. The apartments vary between 30m2 and 60m2. Each of them features an XL cabinet containing the kitchen, bathroom, storage and the bed alcove, while the rest of the space is open and flexible to be adapted to the desires of the inhabitant. 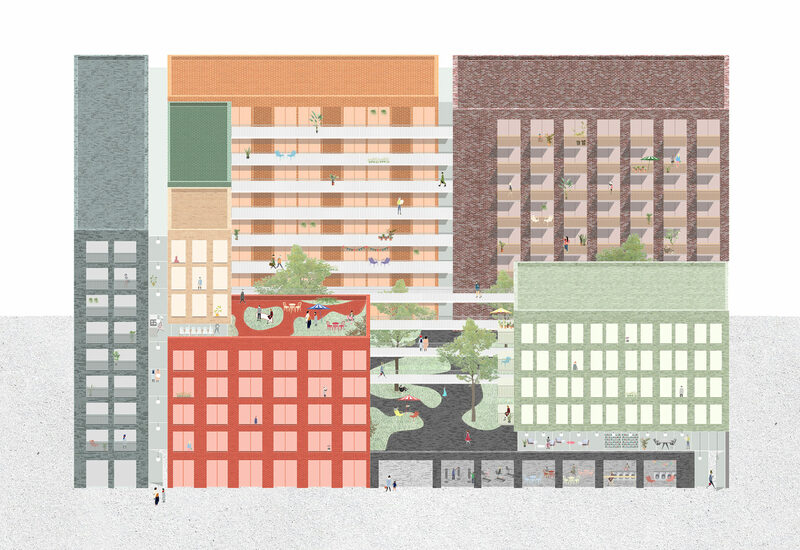 The rich mix of apartment typologies, catering to many different life styles, together with the wide range of shared facilities make the complex into a differentiated and vibrant piece of city.